The EFA regrets to announce that long-time EFA member and popular newsletter book reviewer Marie Shear died in late December 2017. The Brooklyn-based Shear, who liked to call herself a “Widely unheralded writer & editor,” was a loyal member of the EFA, participating in New York City-area events since joining in 1985 and writing witty, trenchant book reviews for the Freelancer newsletter for more than 10 years. Perhaps best known professionally as the author of “‘Little Marie’: The Daily Toll of Sexist Language” in On the Issues magazine, Shear also should be remembered for coining a widely used statement about feminism that is often credited to someone else. According to Beverly McPhail in A Feminist Life, Etc., “‘Feminism is the radical notion that women are people’ is … the most frequently misattributed feminist quote. Usually the quote is attributed to Cheris Kramarae and Paula Treichler, authors of A Feminist Dictionary. However, this particular definition of feminism first appeared in the feminist newsletter, New Directions for Women, in May/June 1986 in an article written by feminist writer and editor, Marie Shear.” The wikiquote.org entry on feminism supports Shear as coining the phrase. Shear was an active feminist and political activist. She is included in Feminists Who Changed America, 1963–1975, edited by Barbara J. Love. Her satiric “Shear Chauvinism” columns appeared over her eight years as media-watch columnist for New Directions for Women. She was also active in the National Writers Union and the Brooklyn chapter of the National Organization for Women (NOW). Members recall Shear as warm, colorful, clever and funny, and someone who made a point of welcoming new members to the association at events and its discussion list. Shear apparently was cremated in early January; if we receive any information about a memorial service, it will be posted here and to the e-mail discussion list. The EFA will make a donation in Shear’s memory to her alma mater – Brooklyn College – or her local library. 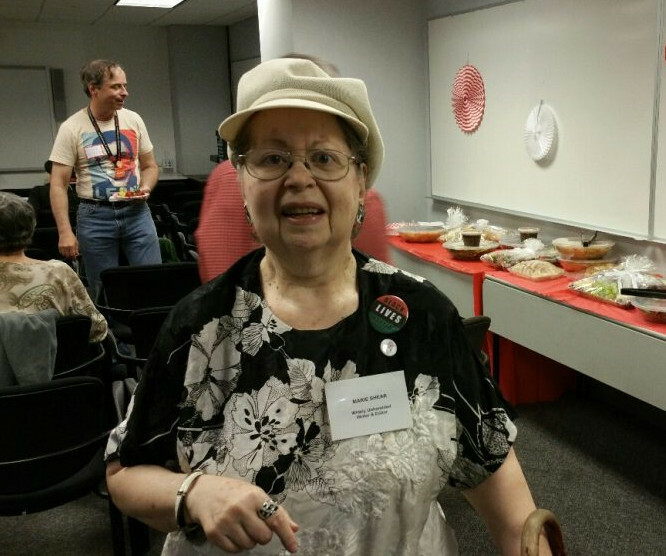 We will miss Marie Shear as an EFA member and especially as a unique voice for our Freelancer newsletter. Note: Further details will be published in the January–February EFA newsletter.